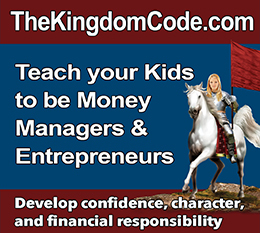 “The World Is Your Schoolhouse,” so take your family out to enjoy God’s creation and to learn about other cultures. 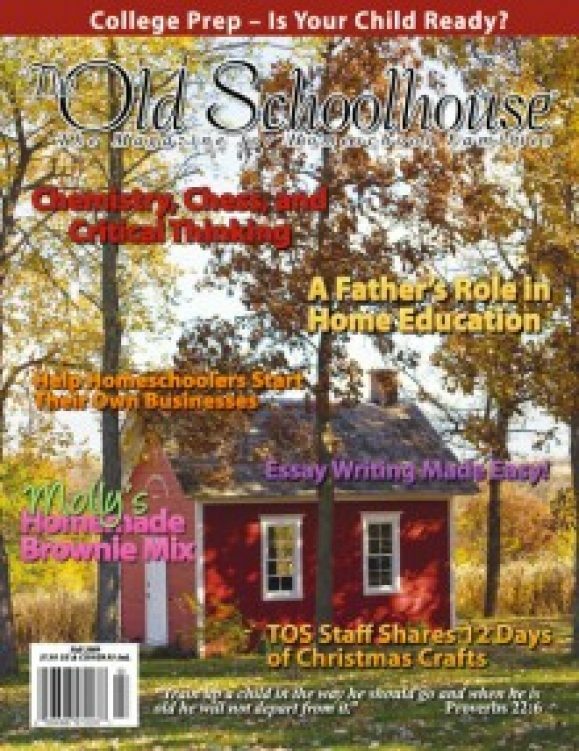 Begin in your own backyard with our homesteading article on gardens and outdoor buildings. As you admire God’s handiwork, read about the evolution agenda in public schools and be reminded why you homeschool. Take your class on the road by using our resource guide to plan travel, adventure, and great field trips. 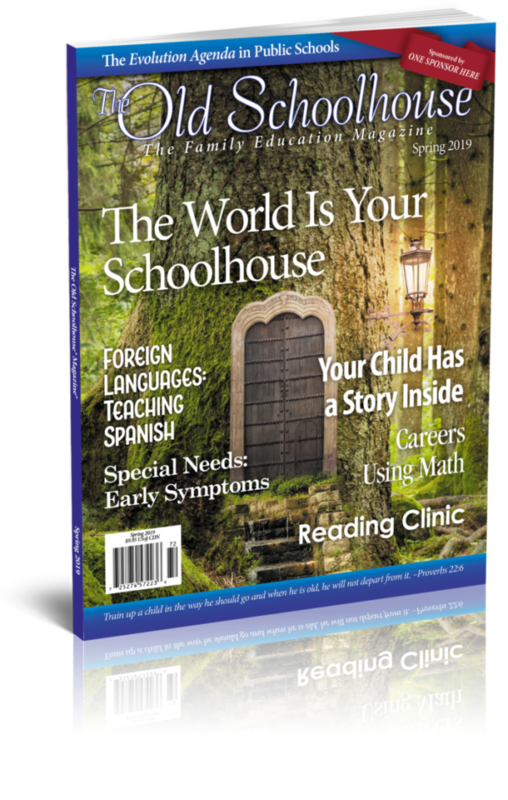 Read about international homeschooling in stories from around the world. Get help in teaching Spanish. 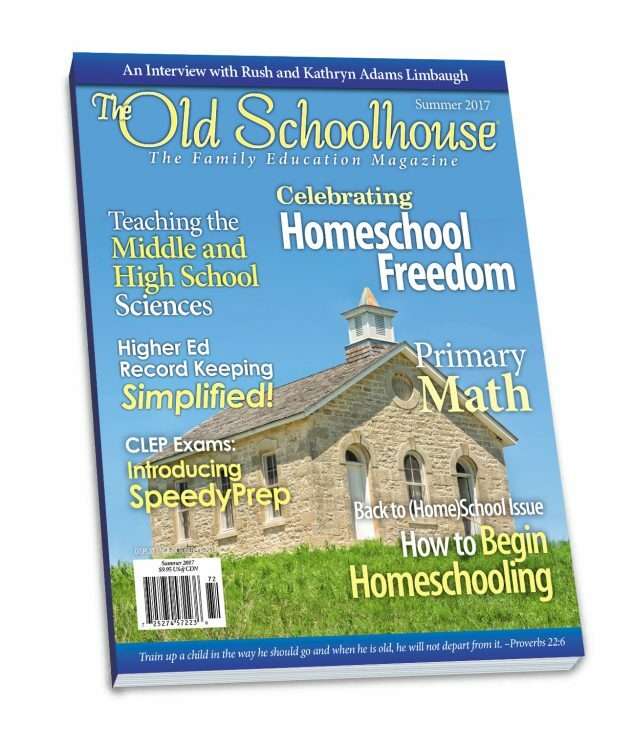 Discover great articles on language arts, careers that use math, and the history of early America and the one-room schoolhouse. Learn how to recognize the early signs that a child will have special needs. 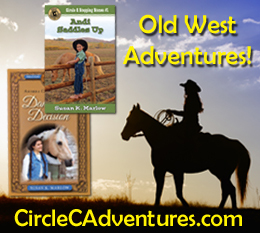 Bring out the writer in your student, because your child has a story inside. 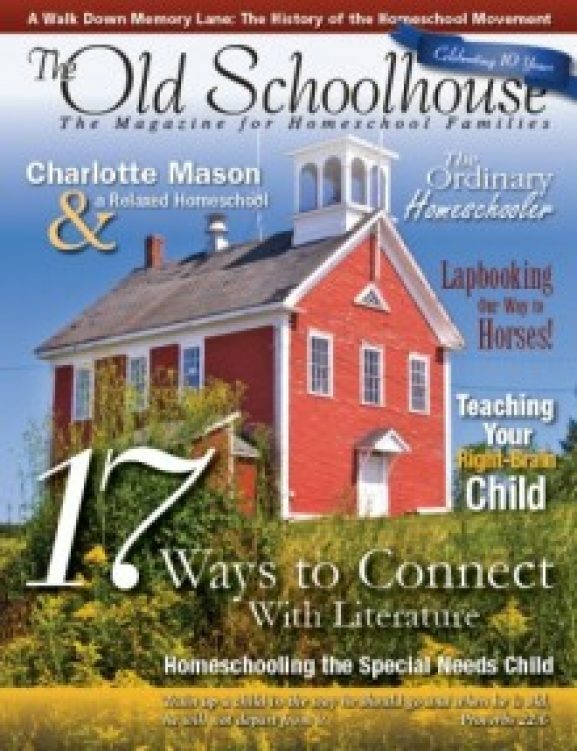 As homeschool children welcome the arrival of spring, their parents welcome the arrival of The Old Schoolhouse® Magazine! Huge, thick print issue, quantities are low. 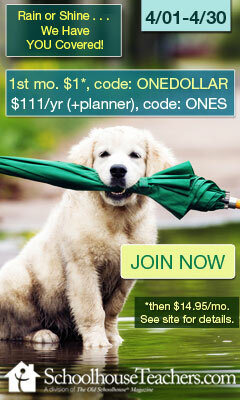 $17 for U.S. buyers. Includes shipping. Would “grueling” be a word you would use to describe your homeschool year? Find motivation in this issue of TOS. 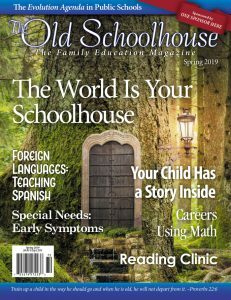 Read articles written by other homeschool parents who understand what it’s like to feel run down and worn out. 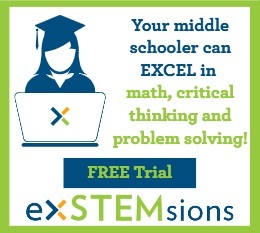 Want to be informed on current issues and educational opportunities? 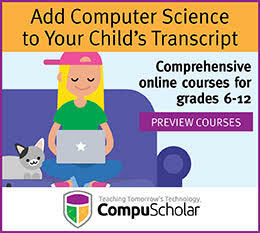 Learn from homeschooling experts? 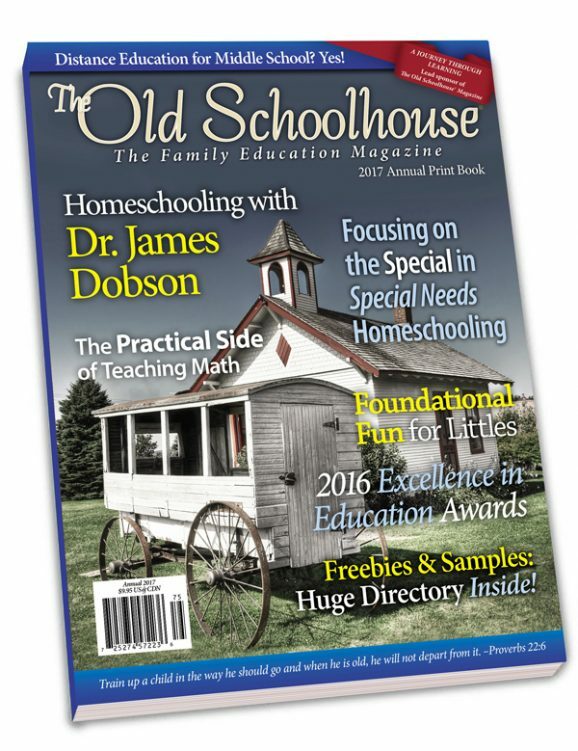 As you reach for new school supplies and curriculum for a new school year, reach for homeschooling inspiration in this issue!